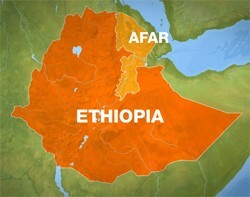 The Afar Revolutionary Democratic Unity Front (ARDUF) through its Press Release issued on Tuesday (27) has denied the existence of any “attacks” carried out by the Ethiopian government forces in any of its military or training camps inside Ethiopia as it categorically denies the existence of any kind of military and training camps inside Eritrea. One thing that Zenawi has missed throughout was, it is impossible to become a beggar and regional power at the same time. 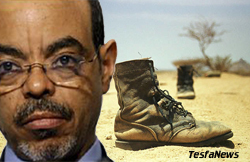 The main objective of the recent media campaign by the Meles Zenawi Chenawi regime for its incursion and attacks inside Eritrea was to bring the Ethio-Eritrean border issue back to limelight in a hope to find some willing mediators to bring the two sides on a negotiating table. 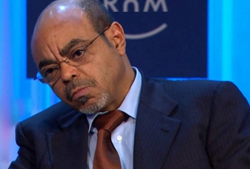 An Eritrean ambassador says UN-led sanctions on the country are a product of big nations and media institutions mainly driven by corporate interests. 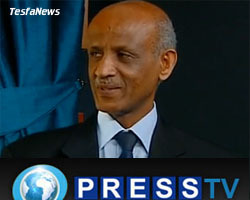 Press TV has conducted an interview with Tesfa-Michael Gerahtu, Eritrean Ambassador to the UK/Ireland, to further discuss the issue. 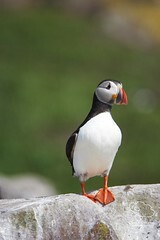 The following is a transcription of the interview. Ethiopia said on Thursday it had carried out an attack inside Eritrea on Ethiopian rebels it says are based and trained there, several weeks after accusing the Eritrean government of planning a kidnapping of Western tourists.